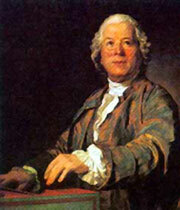 Gluck is the earliest opera composer represented in the repertoire of the modern opera house. In this country three of his works survive. These are, in the order of their production, "Orfeo ed Euridice" (Orpheus and Eurydice), "Armide," and "Iphigènie en Tauride" (Iphigenia in Tauris). "Orpheus and Eurydice," produced in 1762, is the oldest work of its kind on the stage. It is the great-great-grandfather fo operas. Its composer was a musical reformer and "Orpheus" was the first product of his musical reform. He had been a composer of operas in the florid vocal style, which sacrificed the dramatic verities to the whims, fancies, and ambitions of the singers, who sought only to show off their voices. Gluck began, with his "Orpheus," to pay due regard to true dramatic expression. His great merit is that he accomplished this without ignoring the beauty and importance of the voice, but by striking a correct balance between the vocal and instrumental portions of the score. Simple as his operas appear to us today, they aroused a strife comparable only with that which convulsed musical circles during the progress of Wagners career. The opposition to his reforms reached its height in Paris, whither he want in 1772. his opponents invited Nicola Piccini, at that time famous as a composer of operas in the florid Italian style, to compete with him. So fierce was the war between Gluckists and Piccinists, that duels were fought and lives sacrificed over the respective merits of the two composers. Finally each produced an opera on the subject of "Iphigenia in Tauris." Glucks triumphed, Piccinis failed. Completely victorious, Gluck retired to Vienna, where he died, November 25, 1787.